Tatyana was very helpful and answered my question. Bonita was the best . After finish talking to her about canceling my services I felt great ,it’s a big burden lift off my shoulder . She was very helpful! Tatiana was excellent! I called to update balances on my account, she was friendly and very helpful. They were really helpful in answering all my questions. Easy to work with. Made it work as advertised. Serena provided excellent customer service. She went over and beyond. Thank you for helping me update my accounts and understand how to properly pay them off sooner. This was such a smooth process from beginning to end. Thanks so much for everything. Consolidated credit is always quick to notify you of any changes about your account I’m very happy with their service. My name is Jessica! I started with Consolidated Credit in 2014 and it has helped me pay my debt down. I started with around $4,300 in credit card debt and I am now down to $2,200. I am so pleased with the service that is provided. Consolidated credit is so easy and it just makes sense! Spoke with Bonita who was professional. She expedited my customer service needs. I would recommend their services based on continued exceptional customer service. 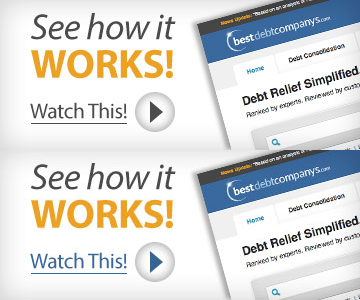 This service has really helped me in getting my debts paid. It was easy and the pay off time went faster that I expected. I am completely satisfied with Consolidated Credit. She was very knowledgeable and helpful. I have received excellent service from Consolidated Credit since I began working with them in 2014. They are very professional and answer any questions I have. They also provide consistent follow up. I loved the way Bonita spoke to me, she was very professional. She took her time to explain things to me. Bonita allowed me to ask questions and she did not cut me off.